Enermax reveals its 80Plus Platinum power supplies at Computex. 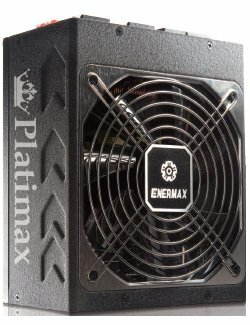 ENERMAX enters the 80 PLUS Platinum era with new PLATIMAX power supply series. Debuting at this year’s Computex, the PLATIMAX incorporates ENERMAX's 21 years of knowledge in topologies, thermal solutions, and PCB layout. It creates the performance efficiency to 80 PLUS Platinum level, and still keeps to ENERMAX proud tradition of all-scale safety mechanism to protect your precious system. Together with brother models like MAXREVO, MODU87+, ENERMAX is not only the expert of efficient PSU designer, but also extreme power density and solid quality PSU builder.